1:1 iPad or BYOD Class “PACT”: Classroom Management Tips | Edtech, Go! Managing the class, i.e. students’ behavior, during 1:1 iPad or BYOD classes can be challenging. The level of excitement increases as students are given a device that can either help them learn or distract them from learning. As teachers, we are reminded to be aware of the importance of maintaining a class atmosphere conducive for learning and sharing of ideas. We put up rules, expectations, and contracts with our students to make sure that our classes run smoothly. We give them reminders about the consequences of their actions in class. In short, we maintain the classroom discipline plan that we already put up in the beginning. But this discipline plan needs modification when iPad devices or mobile devices are introduced and used in class. In my classes, I use my 1:1 PACT. What is this PACT? The PACT stands for four important reminders that students are challenged to do in 1:1 or BYOD classes. Students must learn how to handle and use their devices properly, whether personal device or a shared device in school. They must practice responsibility in taking care of the devices, since they are quite an investment. This means avoiding physical breakage, scratches or bumping them on tables. Proper software maintenance must be done to make sure that all apps and the devices’ OS are updated to the latest version. Updating optimises the use of the devices in class. Older students can be asked to do this during their own time. For the younger ones, adult supervision in school or at home is surely needed. Proper use also pertains to how they use the apps or the device in class. Students should only use the device for learning or for whatever use the teacher has instructed the class. This would mean no unnecessary interactions with the device during class. As students use the devices in class, they are still expected to become active participants in class discussions or in the different learning activities. Having devices in class should not disconnect them from the class. Instead, they are to use the device so that they can connect with their classmates and actively participate in the various learning activities. Teacher can reinforce this expectation by giving rewards to those who actively participate. Teachers can use iPad apps such as ClassDojo or ClassCraft to provide real-time feedback, praises, and rewards to students who are engaged in class activities. Learn more about these apps in this page. Collaboration is a 21st century learning skill that should be reinforced in a tech-integrated class. The mobile devices are great tools to promote collaboration and ensure that students cooperate and work effectively with other students. Using various apps such as Google Apps for Education or multimedia/ productivity apps, students can create artefacts or products that demonstrate their learning through working together. Collaboration instills in students the importance building knowledge together and taking part in the process of knowledge sharing. It is of great importance, then, that the teacher designs technology integrated learning activities that promote collaboration among students. In terms of classroom management, making the students work in teams or groups can further ensure that everyone is one task. Moreover, assigning roles to each member of the collaborative groups can make sure that everyone has and stays on task. Giving due respect to one’s self and to other people is at the centre of 1:1 PACT. Digital citizenship sits on the fundamental need to give due respect to everyone, whether online or offline. Place guidelines on how students can practice respect and self-discipline while they use the mobile devices or access data online. It is recommended that during 1:1 or BYOD orientations, students undergo digital citizenship sessions or workshops so that they can show proper behaviour as they use tech tools in class and to protect themselves from unwanted elements that may lead to cyber-bullying, online scams, or hacking. Lastly, from the name itself, the 1:1 or BYOD PACT becomes a contract for the class. The students sign the PACT and agree to follow them always. The teacher can be more creative and make an elaborate pact or agreement. A printed copy of the PACT can be posted on the walls of the classroom or where it is visible to the students. This gives them instant reminder of what they are supposed to do and how they should behave. The 1:1 or BYOD PACT helps teachers create a conducive atmosphere for students to maximise the use of tech tools while learning in class. Moreover, students are also expected to take part in it by practicing what the 1:1 or BYOD PACT calls them to do. In the end, while the teacher is responsible for the class, it wouldn’t hurt also if students are personally involved in the process. What are your classroom management tips? Sound them off at the comment section. 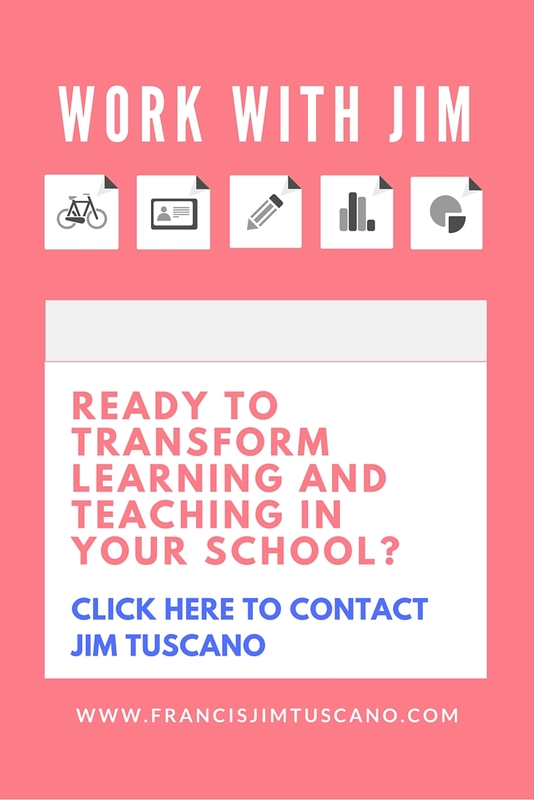 This entry was posted in 1:1 Learning, EdTech Tips, Google Apps for Education, Google Classroom, iPad and Mac, Teacher Reflection and tagged 1:1, BYOD, classroom management, digital citizenship, edtech, edtech integration, educational technology. Bookmark the permalink.